RMS Building Services are a Nottingham based company offering our services to the Nottingham, Derby and all of the East midlands area. We offer a friendly, reliable and professional services with an emphasis on customer satisfaction. 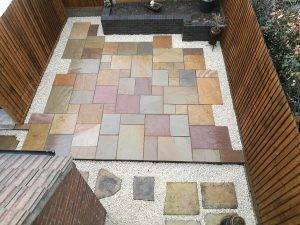 We focus on all exterior works including Bricklaying, Patios, Driveways, Fencing, High pressure cleaning & Soft washing etc. We have full public & employees liability insurance for your complete peace of mind. We aim to be a superior service for both residential and commercial customers aiming for repeat business time and time again. Even though we aim our works towards the exterior side of the building services we also do internal works, Please get in touch for a free quotation for the works you have in mind. No job to big or small!